Looking to add a modern and stylish touch to your home interior? Complete your dining experience with a beautiful dining set from our vast collection. Introducing the newest addition to our collection this lovely Bisbee Grey Dining Set. 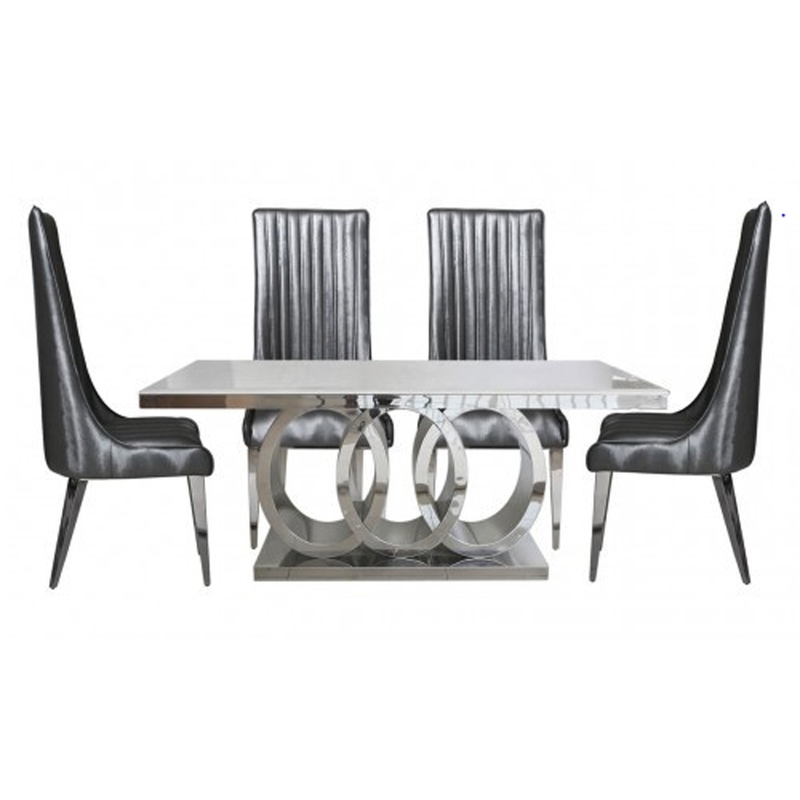 Including six grey faux leather dining chairs that feature chrome legs and accompanied by a luxurious white natural marble dining table with a shiny chrome base. This dining set is a perfect addition to add to your home for an instant interior upgrade. Hand crafted to the highest quality it's ensured to last a lifetime and become a focal point of any room.